Turn the body into a dynamic alphabet and make spelling a full-body experience. The Blazer Fresh team has a spelling challenge, and your students must spell out word sets by making letter shapes with their bodies. Create your own custom word sets to practice your pre-defined spelling lists! Note: Bodyspell does not work on mobile devices or tablets at this time. This activity can only be played when using a desktop or laptop computer. Bodyspell was designed with ELA experts to help reinforce automaticity in spelling competence -- a critical component in reading comprehension. Practicing spelling and making it memorable makes it easier for students to improve phonic skills. BodySpell introduces and reinforces spelling and vocabulary through active movement. The repeated movements foster fluency and encourage words to be more connected in the brain, supporting word memory and recall. Note: Bodyspell is a GoNoodle Plus game and is only available if you have access to GoNoodle Plus! Learn more about GoNoodle Plus. Develop grade-appropriate automaticity in spelling. Help students get healthy moderate exercise. Before or after a reading or writing lesson. During your normal spelling practice! At the beginning and end of school day. The speed and accuracy with which words are identified is a strong predictor of reading comprehension. Giving abstract spelling concepts a physical form helps make the business of learning spelling manageable, fun, and memorable. 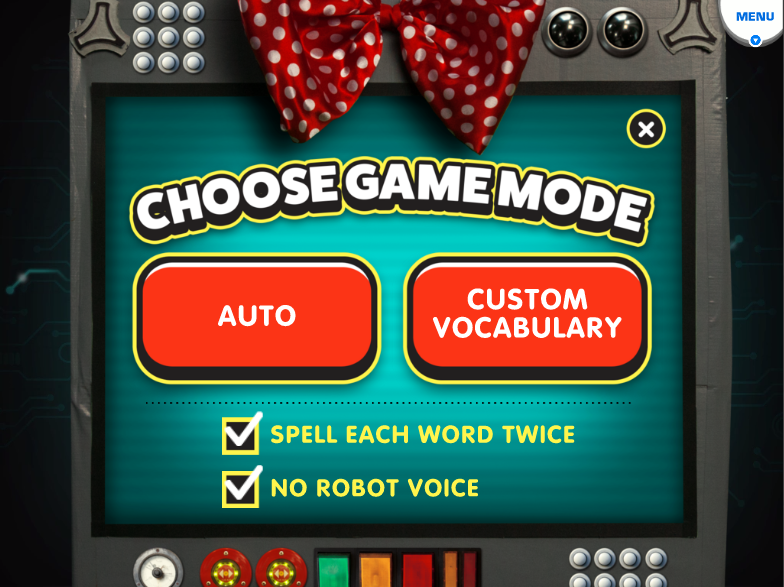 Choose Auto or Custom Vocabulary mode. Auto gets you playing right away. To create custom vocabulary lists, see Adding Custom Content to Bodyspell. Copy the movements on the screen and connect the movements to the letters. Download a printable Gameplay Instructions PDF. Tip: You may wish to adjust the difficulty. For example, if your students are performing behind grade-level according to Common Core standards, you may wish to select a lower grade level upon your first gameplay. 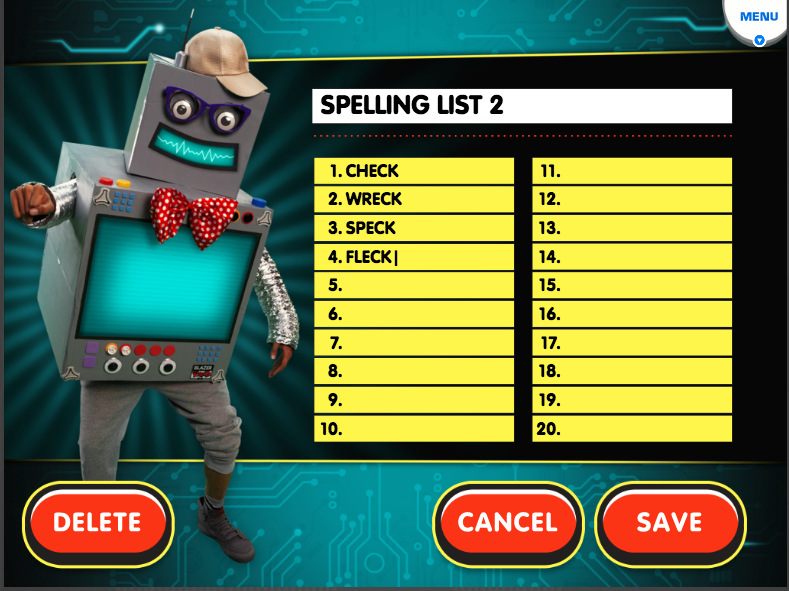 In Custom mode, you can create lists based on your own spelling words for the week. To create custom lists, click Custom Vocabulary on the main screen. Click a line to start a new list. Type up to 20 words in the list. From the Custom screen, click Exit to return to the main Bodyspell page. Click the Edit button at the bottom to make edits. Click the delete button that appears at the bottom left to delete. 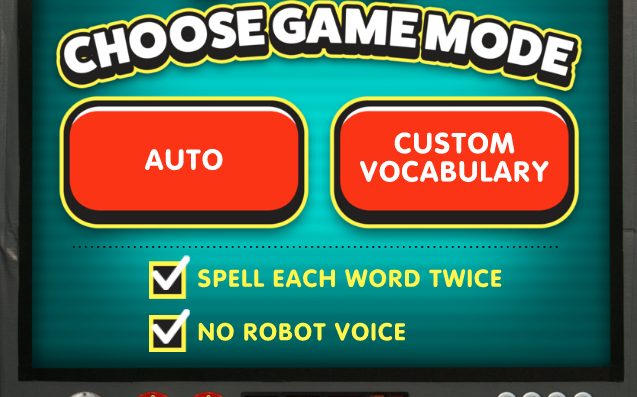 Every time you play Bodyspell, you can choose to spell the words twice or once. Click the checkbox on the main game mode page to toggle off or on. To reset the game, click Reset on the main Bodyspell page. Resetting allows you to choose a grade again and deletes the progress you have made through the auto lists. It does not remove your custom lists..